Denise decided to make her box in some really luscious purple papers and added a ton of bling with gorgeous lace and flowers. It turned out really gorgeous. You can see it here. Neither of us made traditional "pirate" treasure boxes as you can see. I decided to make a Christmas themed treasure box. I am always needing small decorative containers to give away at Christmas. And this really fits the bill. I have had this fun "stocking" paper that I have really been wanting to use and that was my starting point. I made the box itself out of Core'dinations card stock and following the step by step instructions on the DVD were a snap. I added clear bling which I then colored with my Copics to match perfectly. I used a snowflake punch I have to make the snowflake embellie and then added a small white snowflake from my stash to the top of it. My favorite thing was the snow I "made" under the snowman by putting down Glossy Accents and pressing my new Stampendous Shaved Ice into it. So easy and so gorgeous in person! It was just the most perfect finishing touch. I can't wait to use this stuff on other projects. I can just see all the fun ideas!! Remove the cookie sheet from the oven and immediately top each Rollo with a pecan half. Lightly pressing it down into the softened chocolate candy. Let your treats cool and then eat or package them to giveaway. Doesn't that sound super easy?? And they are super yummy too. I always get asked for the "recipe" when we give them out. You could even type up the recipe and add it to the box. Remember there is still time to join in on this months Crafter's Companion "Thank You" Challenge at the Crafter's Companion Challenge Blog. (today is the last day) There is an awesome prize and you could be the winner!! And finally I am going to leave you with a photo my two littlest kids waiting for the bus. I just thought it looked so sweet how my son was holding his sister's hand to keep her safe. Happy Wednesday! Today was the first day of school for my 5 children. Getting them off to school this morning went fairly smoothly but that was only because I prepped the night before. We had outfits picked out and waiting to be put on, backpacks loaded and sitting by the door, lunches made. The list could go on and on. We got up at 5:15am. The two older boys (my middle schoolers) had to be at their bus stop by 6:35am. This required them to be driven to the bus stop which is outside of our neighborhood. Luckily my brother is visiting and he took them and waited for them to get on the bus. My older daughter was taken to school at 7:45am (by my brother again) and the two little ones were picked up by the bus at 8:10am (20 minutes late!) (Their school started at 7:55am) But I will cut the bus driver some slack since it is the first day of school. Hopefully he will get things better organized now that he has driven this route once. Georgia was back home by 10:40am and the others get home around 2pm. I wonder if they will have homework? Georgia does and she is in pre-school!! Lately all I seem to be able to do is projects for DT work and that was the case this weekend. I made two layouts both for DT work. 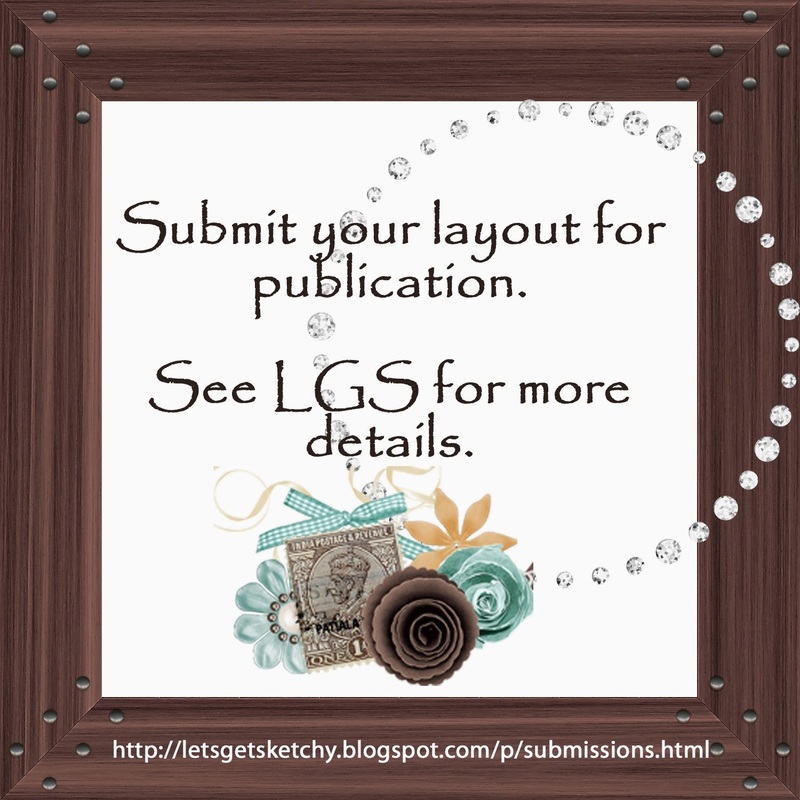 One you will just have to wait to see but here is a layout I made for my Stash Challenge at Sketches4all. My new challenge is to use this sketch I drew up. I used a photo on my layout that I posted before on here of Denise and I on vacation acting goofy. I was inspired by a layout I saw in a magazine that had the circle made the same way. I had fun sewing those button on and just used my compass to draw a circle in pencil first. I just erased it after I did my sewing. I spritzed the base paper with some Ranger Perfect Pearls Mist in Perfect Pearl. I love that stuff! It doesn't seem to get clogged as often as some of my Glimmer Mists. (but I still LOVE my Glimmer Mists!!) And I used my Glimmer Mist in Key Lime Pie to spray the wooden letters I used for my title. The buttons and ribbon were from my stash. It was a fairly simple layout to make and I tried not to over do it. You can still enter this challenge at S4A. It is going until September 10th and there will be a RAK for the winner. Okay, that's enough for now. Thanks for stopping by!! Amy at Amy Duff PaperTrails Leaver Blog has a great candy. You should hurry up and go check it out.... It looks super yummy! Carri at DoubleClick Connection has some yummy candy that you need to go check out. She wants to thank her followers and has quite a big pile of goodies. Go check it out!! She rocks! Here is that card I mentioned that I made the other day when Denise and I were scrapping. I used this card as my example for my Sketches4All Card Challenge. The challenge is to make an Easel Card. I am kind of hooked on Easel cards right now. They are super simple to make but seem to be a bit cooler. I recently got this awesome new Imaginisce paper in yummy fall colors and couldn't wait to use it. I decided to use one of the papers that has apples on it and make a card for one of my kid's teachers. What do you think?? Too many apples?? Nah... Really...can there be too many apples??!! lol Of course there can't! Don't you just love that paper!! Maybe I have been using to many sunny summery colored papers but these luscious warm fall colors are just calling to me right now. You can go enter my S4A challenge if you are interested it is still going on and there will be a RAK for the winner. I really had a great birthday this year. I loved getting to celebrate with Denise and her family and it was wonderful that my brother was also here visiting us. They had a little party for me on Monday night since Denise had to go home on Tuesday. And yesterday (on my actual bday) we took the kids out to eat Mexican food (yum!) for lunch and then I got to spend the afternoon reading. (an activity I usually leave until after the kids go to bed. Relaxing and fun. I'm a very lucky girl. My dd (the one who broke her finger) has a healed finger and is now going to physical therapy. This a bit of a challenge since she is only 3 and easily loses interest. She went for the first time today and did pretty well. Okay, that is enough for tonight. Come back tomorrow because I am doing a post right after I finish this one that will be showing up on my blog tomorrow. It is one you will want to check out.... HUGS! #16 Debby who said....."Happy Early Birthday. I love mini books. They are kinda my thing, hah. I like to do special birthdays or trips with them. Sometimes just a little book about a special person. I do follow you." Congratulations to Debby!!! you need to email me at Scrapwithstacy at gmail dot com with your full name and address. Woo Hoo!! Congrats Angelique!! I need to to email me your full name and address so that I can get your prize out to you in the mail. Both winner have until August 31st to email me their information before I choose another winner. Denise made 3 projects too. We have been scrapping fiends! ha It has been so much fun. I just love it when she is here visiting!! Our kids just have a ball playing from sun up to sundown. In fact a few are still in the pool swimming and it is 10:30pm! Well since I am having such a fun time and am in such a good mood I thought I would share the happiness with a little impromptu giveaway. And it will be a quick one. I will pick the two winners on my birthday, Wednesday August 24th. And you should definitely come check me out on my bday because I plan to have another giveaway to celebrate! 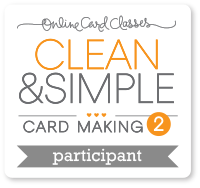 The winners will need to email me at Scrapwithstacy at gmail dot com by August 31st. I will pick a different winner if you do not respond with your name and mailing address by that date. Okay, that's all. Now I am off to hangout with my friends. Michelle at Scrappin for Kenzie has a ginormous blog candy giveaway going on right now. Run don't walk because it is ending very very soon.... It is only open to US residents but all you international girls will still want to go check out her fun blog. Denise has Giveaway Goodies Galore!! This will be short and very, very SWEET because my BFF, Denise at Lalasworld, has CANDY on her blog that you are going to want to zip over and check out!!!!!! And her blog is so awesome you would want to go check it out anyway! I plan to post again tomorrow....come check me out. Now go....hurry! You don't want to miss out. Hi everyone. I have my minivan all loaded and ready to go. We leave at 6:30am tomorrow to go back home to Nevada. I have one son, my brother, 3 dogs and my bird and all our stuff. The next photo is of the cutest little treats that were served at the last night of vacation bible school. Aren't they just super adorable? I had to take a photo so that I could copy the idea. And the last photos are of a squirrel stealing seeds from our bird feeder. It was really so funny in person. I ran to get my camera when I saw the silly thing hanging by only it's back feet. I used a photo of my dd that I had with me and thought that turning the "sketch" would make it more fun and interesting to re-do. I just love the colors that I used together. I think the red really just pops off the page. My daughter calls herself Mei Mei. That isn't her name but what can I say?! ha (her middle name is Mae and Mei Mei means little sister in Chinese) I just think she can't say Georgia very well and most of the family calls her Georgia Mae so she just says Mei Mei. Anyway, it doesn't matter and I am rambling. 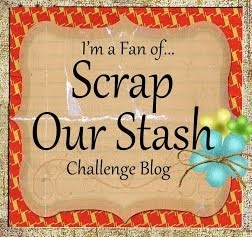 ha You should go check out this challenge at Scrap Our Stash. I did get some new shoes and school clothes for them. I'm getting thing done slowly but surely. My birthday is coming up on the 24th and my friend, Denise and her family are coming to help me celebrate. I can't wait!! My kids can't wait for her kids to come and my hubby can't wait for her hubby to come!! LOL It will be a nice end of summer party. The won't actually be there on my bday because her kids start school on the 24th. Congratulations to Donna!! 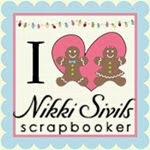 And thanks to everyone who entered and joined up to follow the Crafter's Companion Challenge blog. I hope to see all of you entering the challenges there soon. You have until August 15th and then I will pick another winner. 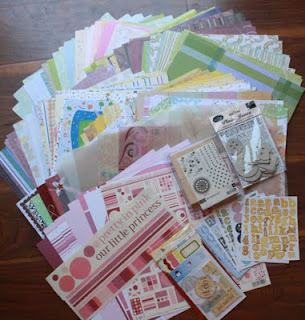 Wonderfully Generous Giveaway From Crafter's Companion! 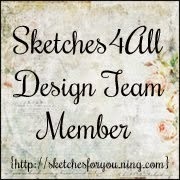 I am so lucky to be on the Design Team for the Crafter's Companion USA Blog and the Crafter's Companion Challenge Blog. I LOVE the challenges and working with the stamps and other products from the Crafter's Companion Store. Their products are so awesome! One of my favorite tools is their Envelobox board. 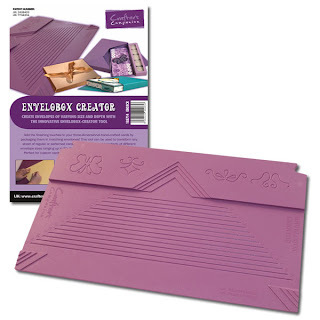 With this amazing tool, you can make envelopes in any size and any depth. This is so perfect for big, odd sized or specialize cards, such as the Set of Drawers card I posted about a couple of weeks ago. Not only are their products totally awesome, but they are a really generous company. 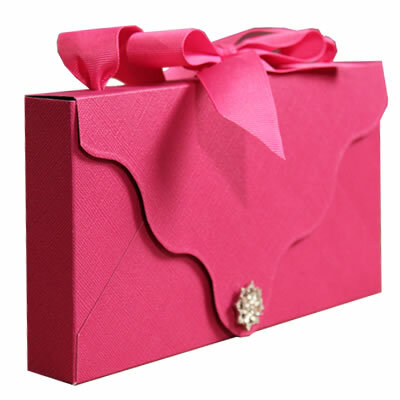 They have given the entire design team an Envelobox to give away on their blogs to one lucky U.S. resident! Here's how you can win this fabulous tool. 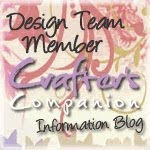 You simply need to become a follower of Crafter's Companion USA challenge blog and then leave a comment on this post. You must do this to win. If you'd like a couple more chances to win just post about this giveaway on your blog or sidebar and become a fan of our Facebook page. For each of these things leave a separate comment here. This giveaway will run for one week from August 1st through August 7th. There will be a winner chosen on Monday, August 8th. Every single design team member is giving away a Envelobox board, so be sure to check out all their blogs as well to increase your odds of winning one of these fabulous tools. 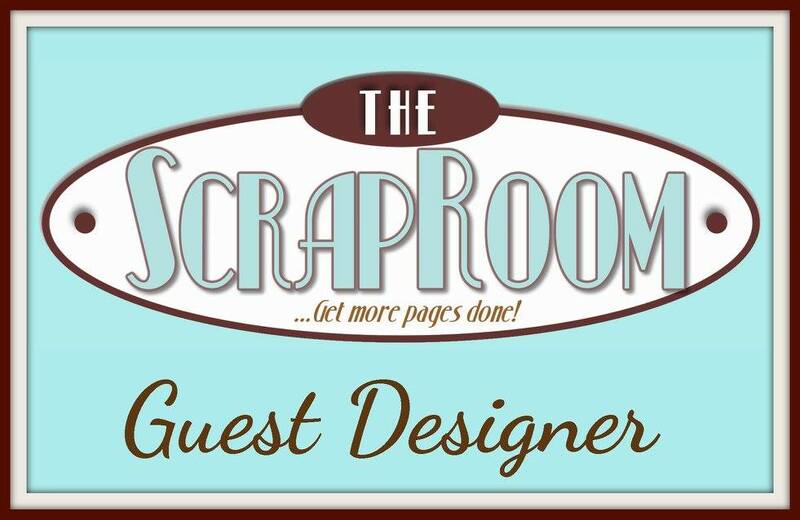 You can find their blogs on the Crafters Companion News blog. As you can tell from the post above this one - Crafter's Companion is an awesome company. The challenge this month for the Crafter's Companion Challenge Blog is to do a "thank you" project. It can be anything. You could make a card for a special someone, you can do a layout that shows all the things you are thankful for or you can just use your imagination and make any type "thank you" project you can come up with. The only thing you must do is use a stamp from the Crafter's Companion Store. This month as my example I made this purse card to give to my mother as a thank you for all that she has been doing to help me while I have been here in Oklahoma. I think she will like it. I used the Sheena Douglas paint fusion Sunflower Stamp Set and painted a sunflower on card stock. I fussy cut it out and then using the absolutely awesome Crafter's Companion Ultimate Tool. I used the design from the DVD that comes with Ultimate Tool to make the purse. It was easy and fun. I used some shimmery brown card stock that looks beautiful in person. It really goes well with the yellow and orange I used when I painted the sunflower. Have I mentioned how cool it is that I can just buy clear bling and then color them with my Copics to match any project?! 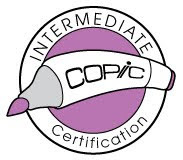 Those Copic Markers are so awesome!! They are a beautiful thing. You should hurry and get busy on your project for this challenge because you could be the lucky winner of the fab prize they are giving away. The prize they are offering is the CleverCut 5 in 1 Rotary Paper Trimmer!!!! "The CleverCut is the amazing new 5-in-1 rotary paper trimmer from Crafter's Companion, which is perfect for use in all your paper crafting, card making and scrapbooking projects. What makes it so special? Well, for starters it has an extendable base plate which will allow you to trim letter size paper in both portrait and landscape. In fact, the trimmer supports paper up to 12" x 12" with markings now pre-printed in both inches and centimeters. The CleverCut has interchangeable rotary blades that you simply dial to select, which will allow you to cut not only straight lines, but also create perforated lines, waves and scores. Changing the blades takes only seconds with just a "flick" of your finger. There's also an integrated corner rounder which will add a touch of elegance to any papercraft project." You know you want to win this so go get busy and make something! Trixie is home and doing fine. Thanks for all your good wishes! !